Hi all, I sincerely apologize for being out of comission for awhile. However, today, I received the new press release for third installment of the OPI Serena Williams Glam Slam collection and since the "French Open" Glam Slam duos have been sitting on my desk for awhile, I figured now was the perfect time to swatch them. Fair warning, however, as it's been awhile since I've swatched, my pictures are not great... so please bear with me. As the come in pairs, I'm going to review them as such. However, I will descibe each of the polishes individually. This second combo, of Rally Pretty Pink and Red Shatter, was the one that had me feeling a little more dubious. I mean, they should work it theory... purple and red are complimentaty colors on the color wheel, so it makes sense, but I just wasn't sure how they'd work on the nail. Turns out... pretty dang well. Rally Pretty Pink is actually a bit of a misnomer, IMO. 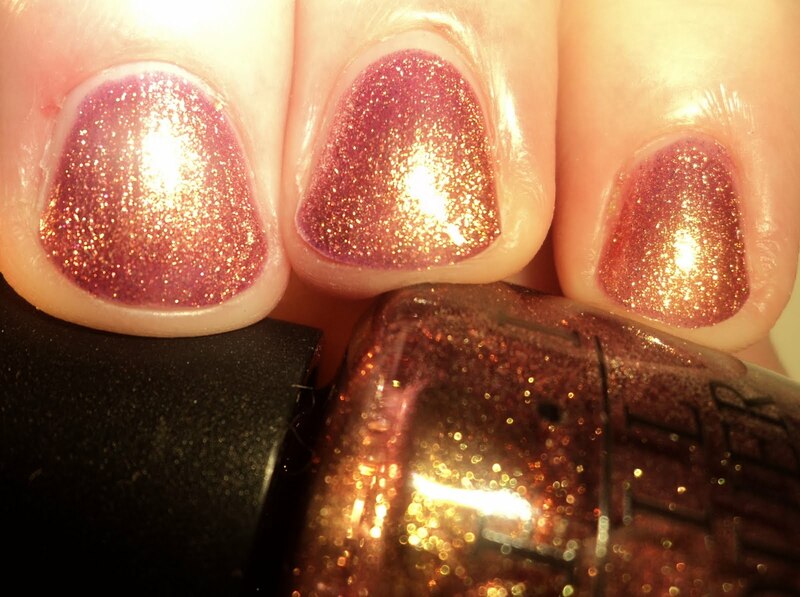 I do see the pink in the shimmer, but in my mind, this is more of a dusty plum with golden metallic shimmer (much like Zoya Faye). It's a beautiful polish on it's own, but when combined with the red shatter, it is even better. First pic is 3 coats of Rally Pretty Pink, as it's a bit thin. 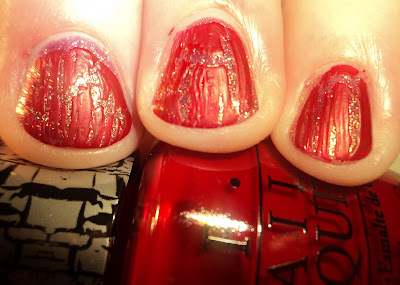 Also, Red Shatter, in and of itself, is great. The base seems very jelly-like so it applied very well. 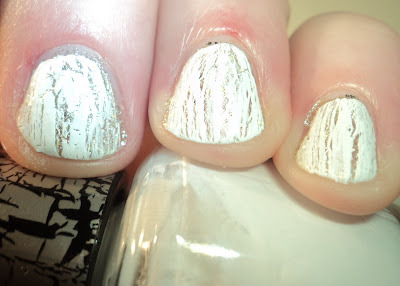 The consistency of the formula was one of the best I've seen in a crackle polish. Plus, as it's a pink based red, I can't wait to try this over pale pink. The Glam Slam duos are available now and retail for $14.95 each. Ooo, I like the gold one! http://kutekrazynails.blogspot.com I love OPI nail products, and even I use Art Deco by L.A. Colors. But this type of polish sure is different! We just love OPI nail polishes and are waiting for the Grand Slam! England to come out. Just checked on Friday at our local Ulta and they are not out yet. Can't wait! We are now following you!